If you want to get One Grip Higher be like Bridget! Yesterday night I went out to dinner with my wife and daughter to Aladdin’s, a nice little Mediterranean restaurant in the center of Rochester, New York. 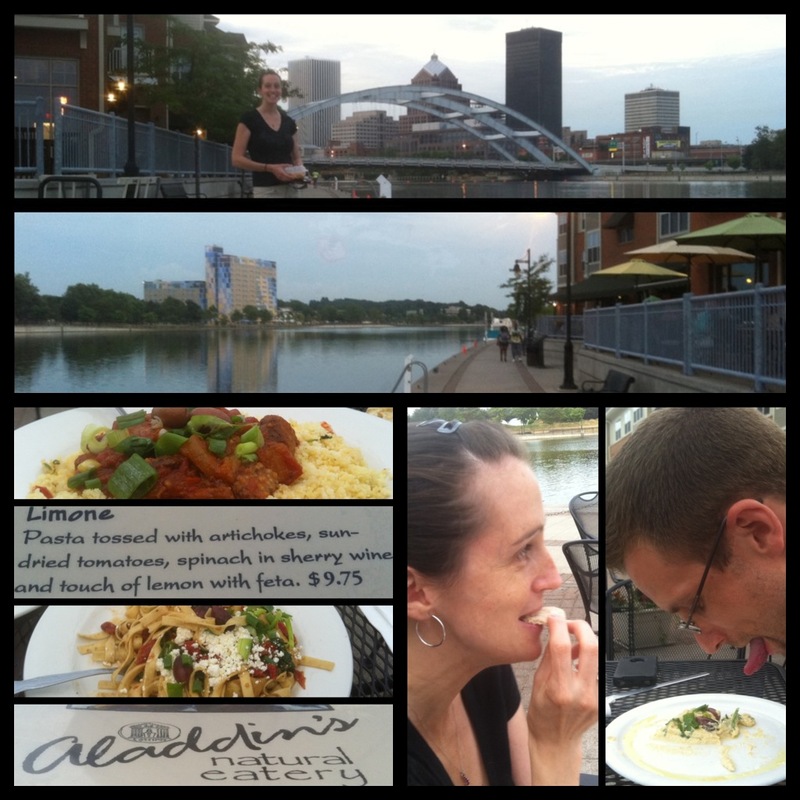 We were situated by the Genesee River with a beautiful evening view of the water and the Rochester skyline. In the limelight, the usually brown Genesee actually looked pretty nice and serene. The meal was uneventful, and the food was pretty good. But I was blown away by the service. We were waited on by Bridget, a former student from my days at Olympia High School. Bridget was excellent in her service, but what I found so remarkable was how much she helped the other waitresses. In between taking our order, topping up our drinks and serving her other customers, she was continually finding ways to make the other waitresses jobs a bit easier. She cleared plates and cups from tables that I could tell she wasn’t waiting on. She greeted everyone with a smile and stopped to chat with customers who were not hers. I’m not sure if the waitresses split tips, or if Bridget was just intent on helping everyone around her, but I was impressed. It made me want to help out too! She made waiting on customers seem really fun and exciting. She turned a boring job into a team event. I bet her co-workers love being scheduled on the same shifts as her. Would your co-workers be able to say the same thing about you? Do you bring joy, energy and excitement to your place of employment? Bridget made it look easy! Here is what she did! Can you do that? Can you help someone out today? Can you find one way to serve a co-worker today? Can you be like Bridget? If you can, you will be One Grip Higher.